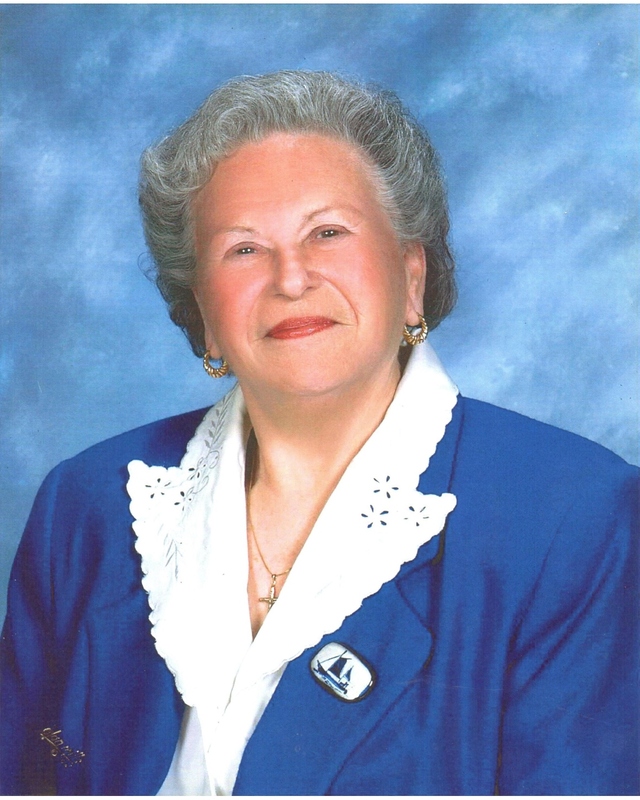 Anna (Zinni) Malafronte Perry, 88, passed away on Sunday April 14, 2019 surrounded by her loving family. Anna was the wife of the late Michael Malafronte and the late Arthur J. Perry. In addition to her husband Anna was predeceased by her parents; Nicola and Concetta (DiVirgillio) Zinni and her siblings; Frank Zinni, Anthony Zinni, Carmen Zinni, Louis Zinni, Rosa Lonardo, Mary Carusi, Jennie Silva, and Susie Zinni. Anna was a communicant of Our Lady of Mount Carmel Church where she was a member of the Rosary and Altar Society. In 2001 Anna was named Chief Marshal of the 16th of July Feast Celebration in honor of Our Lady of Mount Carmel. Anna was also a member of the Leonardo da Vinci Lodge, Sons of Italy and the former Hope Circle, Daughters of Isabella, and was a longtime volunteer, both for the Columban Father's Annual Summer Bazaar and the Our Lady of Mount Carmel Feast. In addition to her children; Emily A. DeMeo of Bristol and Michael Malafronte (his wife Jean) of East Providence Anna leaves behind her granddaughters Nina Rathbun (her husband Johnathan) and Lisa Rudolph and her two Great Grandchildren Keikilani Rudolph and Michael Rathbun. Funeral services from the Sansone Funeral Home, 192 Wood Street, Bristol, Wednesday , April 17, 2019 at 9:00 AM with a Mass of Christian Burial at 10:00 AM in Our Lady of Mount Carmel Church, 141 State Street, Bristol. Burial will follow in St. Mary’s Cemetery, Chestnut Street, Bristol. Visiting hours will be Wednesday, April 17, 2019 from 8:00-9:00 AM. In lieu of flowers, memorial contributions may be made to the Alzheimer’s Association of Rhode Island, 245 Waterman Street, Suit 306, Providence, RI 02906.